The Kindle Keyboard is over 4 years old now, but that hasn’t stopped Amazon from issuing a software update to fix some problems with the web browser. The new software version is 3.4.1. The update will download and install automatically over wireless, which can sometimes take a few weeks, or you can manually download and install the update if you want it now. The directions and download links for installing the update can be found on the Kindle Keyboard Software Updates page at Amazon. There are different packages for the WiFi-only model and 3G models, so make sure to get the one for your specific Kindle. The update file is only about 80KB. It is a small update, but for people who rely on the KK’s browser to check email and other log-in websites and services, it really is a big deal. Responses by those websites to the POODLE attack locked the Kindle’s browser out because it used an older form of security. With the new update, the browser uses more modern security that is not shut out. It’s somewhat surprising to see Amazon fix a problem with a Kindle that they stopped selling new about 2 years ago now. It’s good to see they aren’t abandoning older Kindles entirely. 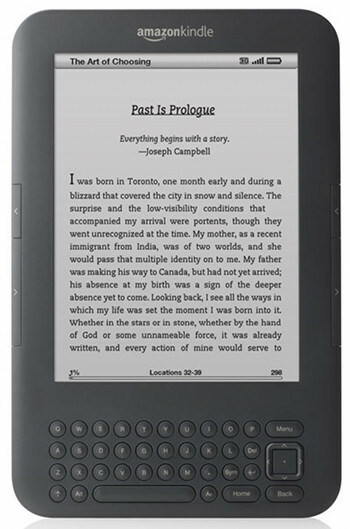 The 3G Kindle Keyboard was the last Kindle to allow using the web browser with 3G; all the newer ones can only browse the web over Wi-Fi. So that’s a pretty big deal for those that still use a Kindle Keyboard, once known as the Kindle 3. Still love my K3. It is still the best. That’s nice of Amazon that they still support their old devices. If you have jail-broken Kindle, just be aware that Amazon has been launching an attack on jail-breaking via firmware updates and the latest of these updates for other models cannot be jail-broken NOR can the versions of the firmware be downgraded to earlier releases. Basically, upgrading will leave you stuck with a Kindle which has resisted jail-breaking attempts for the last 5 months or so; an unprecedented record. Not sure if such applies to this model but it seems likely given Amazon’s philosophy. Be very certain that the features offered are worth the price. Any word on kindle DX? Seems it may have the same issue right? I wouldn’t count on it. Amazon never really kept up with Kindle DX updates like they did the Kindle 3, and the firmware updates page for the DX hasn’t changed in several years. The browser on the DX (and the X operating system overall) is of a different generation than the browser on the Kindle Keyboard. The Keyboard’s browser is based on WebKit and the DX’s is not. Given the small size of the recent Keyboard update that fixed the browser it was probably a matter of recompiling the software with the current security module included, but there was probably very little original programming going on. I guess that the DX would need its browser software actually rewritten to include the necessary security upgrades, which is a much more time-consuming task with little return on investment. As a DX owner I’d love to see an update but I’m not counting on it. Note that the DX browser is still functional for non-secure websites that don’t require logins, so it’s not a total loss. Hi, I have the keyboard DX (I think) headphone jack in bottom. The software update won’t work and says 3.0.2. I’m worried after march I won’t be able to buy books? Any help would be appreciated! I’d contact Amazon support for an issue like that. Look at from Amazon’s perspective. When you’re rooting a kindle, you’re making a something that competes with their other capable products. Anybody still have this issue of the browser freezing when trying to open? I am on 3.4.2 on my Kindle 3 Keyboard, and have had this problem at least on 3.4 and on versions.